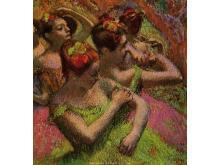 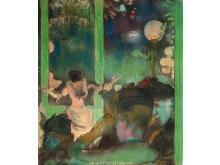 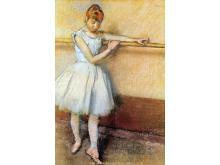 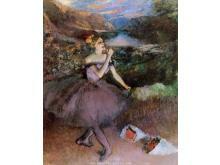 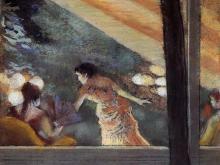 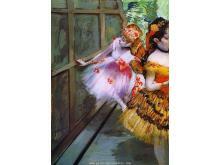 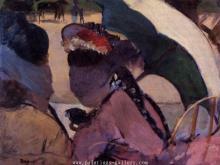 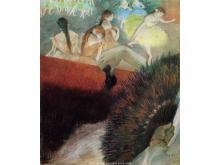 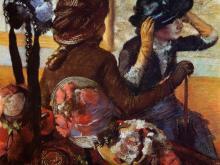 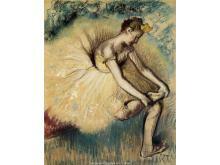 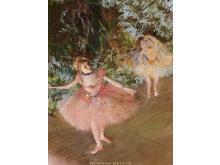 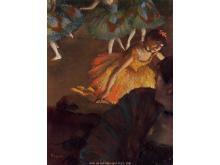 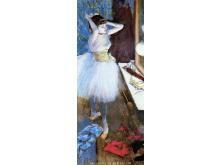 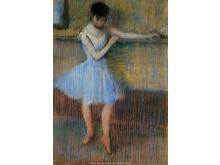 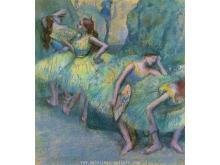 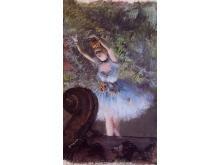 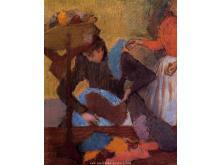 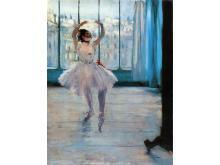 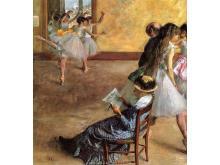 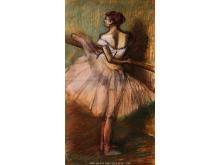 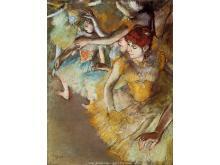 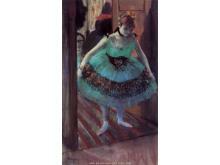 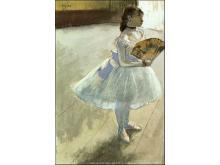 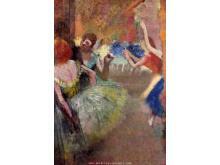 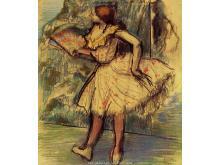 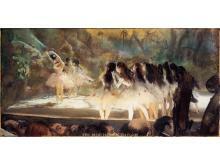 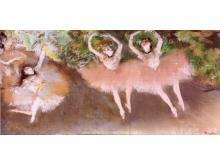 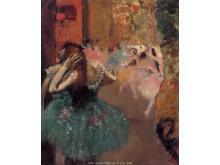 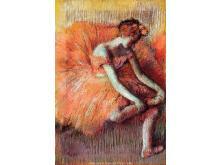 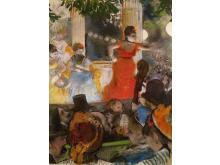 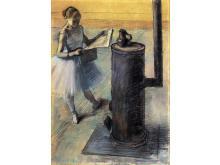 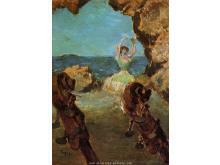 Edgar Degas was born on 19 July 1834, death on 27 September 1917. 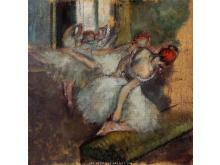 Degas was born in Paris, France, into a moderately wealthy family, was a French artist famous for his paintings, sculptures, prints, and drawings. 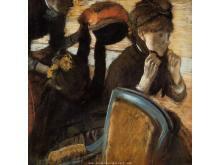 Degas’s principal subject was the human—especially the female—figure, which he explored in works ranging from the sombre portraits of his early years to the studies of laundresses, cabaret singers, milliners, and prostitutes of his Impressionist period. 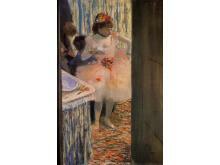 His portraits are notable for their psychological complexity and for their portrayal of human isolation.